We often forget this objective in our Lord’s death. We know that Jesus died to take away the penalty of our sin. We have sinned against God, and we stand under his judgment. Jesus Christ substituted on the Cross for our sins; he bore his Father’s wrath. When we trust in Jesus, his law-keeping righteousness is imputed, or credited, to our account. But for Paul, Jesus didn’t die only to get rid of the penalty of our sin. He also died to get rid of the pollution of sin. 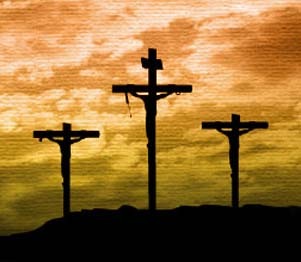 Jesus didn’t atone on the Cross merely that our sins wouldn’t be judged. He shed his precious blood so that, in Paul’s words in Ephesians 5, we would be sanctified, we would be holy, we would be a spotless church. The mark of the blood-bought believer is not only his assurance that his sins are forgiven. An equally vital mark is that sin no longer dominates his life.The question isn’t whether we are sinless. No human except Jesus is sinless. According to Paul in Romans 8, the issue is, Who is Lord? For unbelievers, sin is their lord. But when we trust in Jesus, we get a new Lord. Jesus is our Lord. Where Jesus is Lord, sin cannot be Lord. Sin cannot dominate.As we partake today, let’s relish the fact that our sins have been forgiven. But let us relish equally the fact that Jesus’ death is a great pollution cleanup operation. God is cleaning up our lives, he’s cleaning up our church, so that he will present us a pure church before him. We have been saved from the penalty of sin. We are being saved from the pollution of sin. And one day, praise God, we will be saved from the very presence of sin.